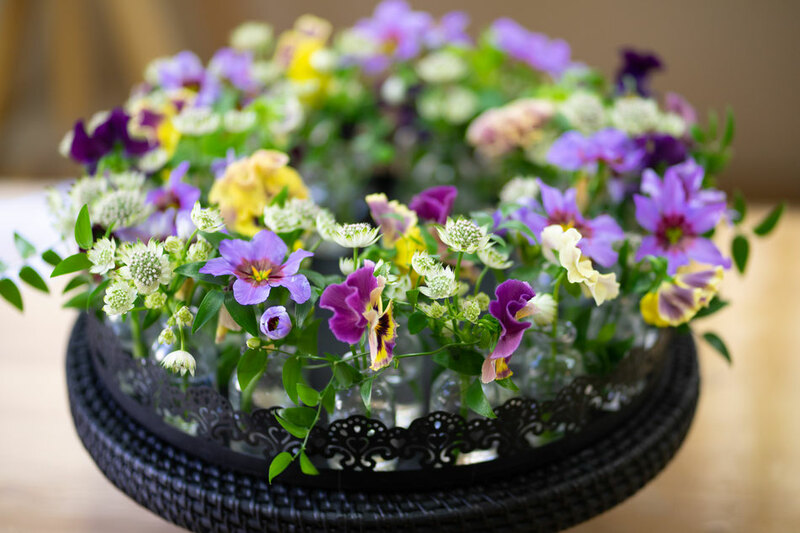 Combination of the black stand that brings out the flowers and the mini-bottle glass that feels freshness. It is likely to hear the pleasant voices of the little flowers. When flower design was not as popular as it is today, he was shaken by the beauty of the flowers in the magazine he took at the local book store by chance. "Who ever can do such a great thing? I want to give it a to try too!" Then he got a job at the wedding flower company where he spent eight years. However, he had been feeling the gap between the impact on what he saw at the local bookstore and what he had been doing day-to-day. 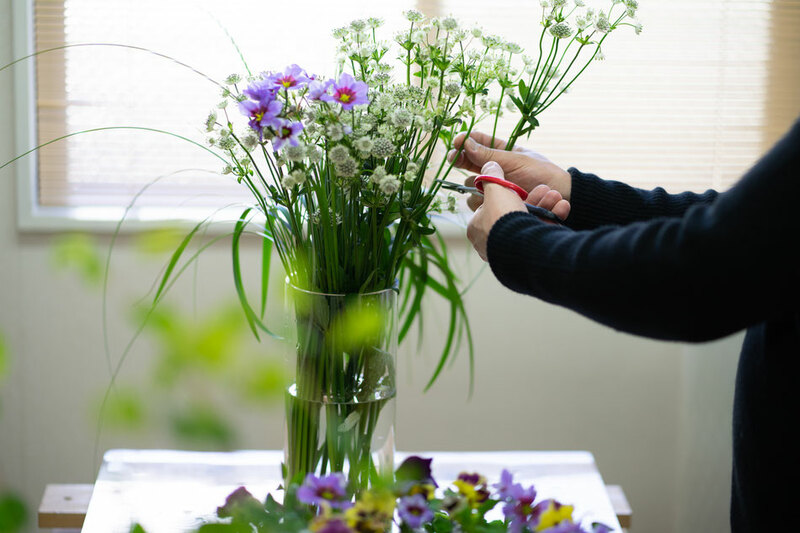 He had left the flower industry and worked as a deliverer. One day, he brought a package to one house where he was moved by the flowers beautifully decorated at the entrance. “I want do flowers again!” He decided to quit the delivery company. 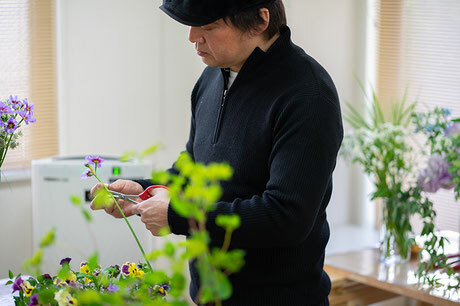 After working at an event company handles flowers and at a flower shop in Ginza, he became an instructor of Hanaami. 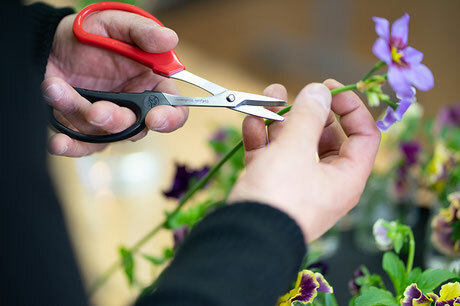 In 2007, at the Christmas event of the famous German flower designer Gregor Lelsch, he made a live performance at the Bad Neuenahr big hall in front of more than 1,000 people and received high marks. 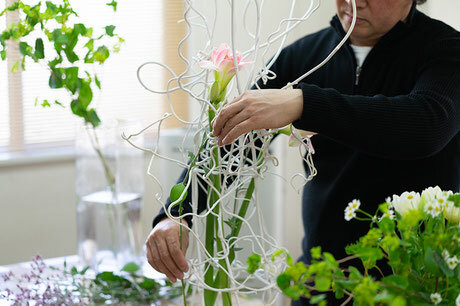 Now he presides over Tokyo Flower Design Club in Aoyama Tokyo. He is also a member of the F5 +, a five-man designers unit that collaborates with professionals from other industries like calligraphers and Italian chefs. The beauty of the contrast between Kiwi's vine curve and Amaryllis's straight line is the highlight. 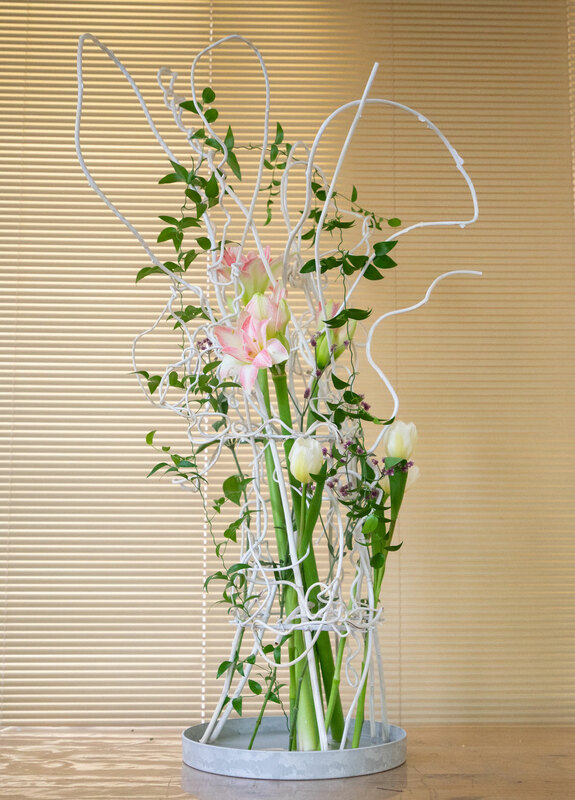 An impressive work with minimal flower materials. 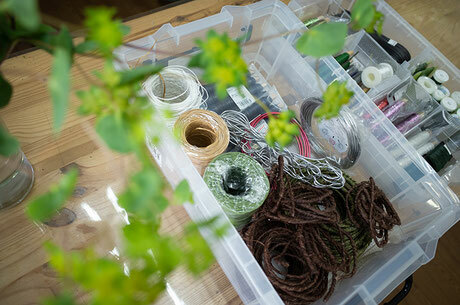 Working on Amaryllis's creations for the photo shooting. 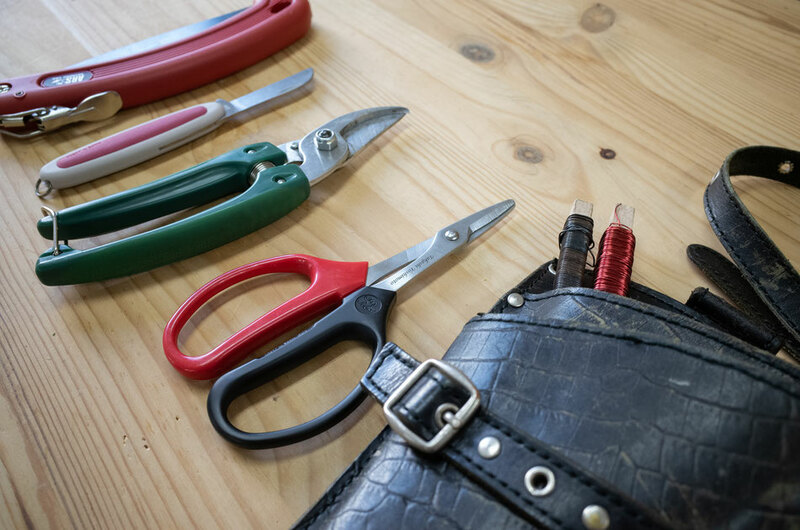 Uses various kinds of wires according to the colors and designs of the work. Left to the natural movements of the flowers. 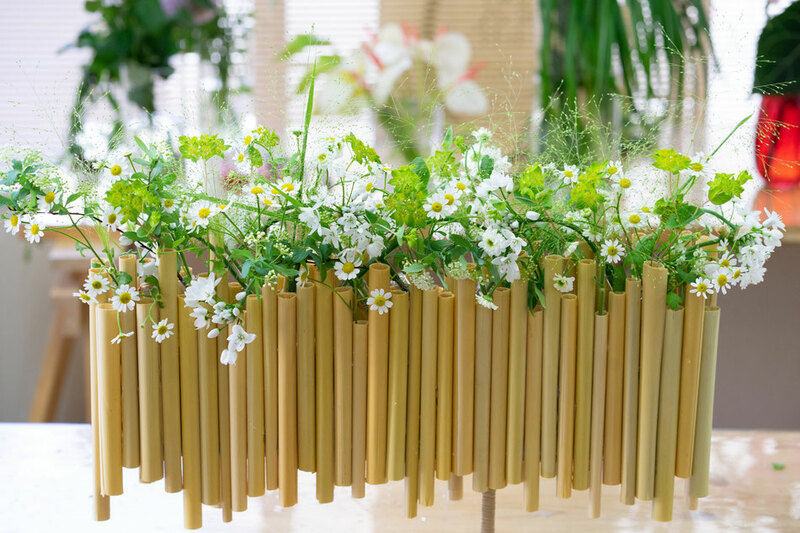 The natural-colored foundation made of pampas grass stems freshly brings out white flowers. 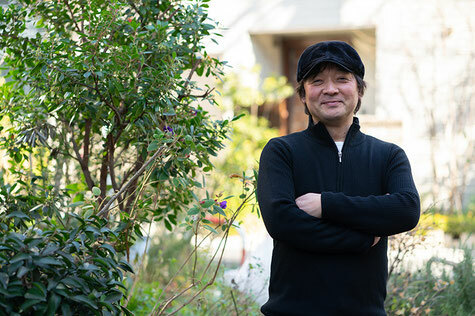 Mr. Yoshimoto possesses many ARS Corporation products. On this day, he used iD Choki which can be customized with favored grip color and blade. His atelier near Nogizaka Station. 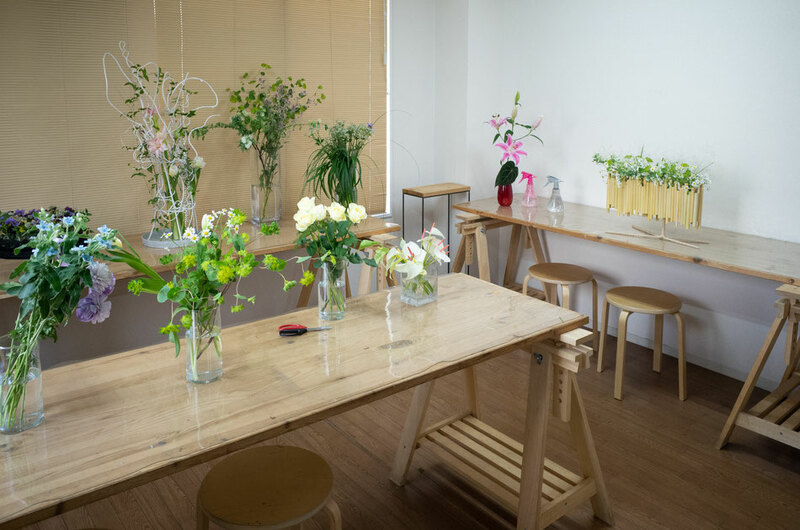 He produces events and space design as well as teaches flower design here.